Is procrastination an illness ? No. But it can affect your health. Let’s take a look at what it is, why it happens, and how to cure it. Procrastination is putting off things that need to be done. How big is the problem ? About 20 % of people are chronic procrastinators and these percentages increase significantly during college. 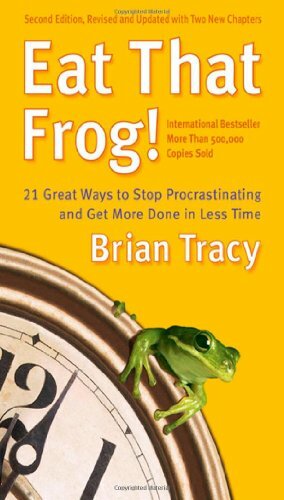 People who are chronic procrastinators perform more poorly in their family, in high school, in college, in jobs, and in relationships. This sounds like an unfortunate nuisance, but it is actually a health problem. 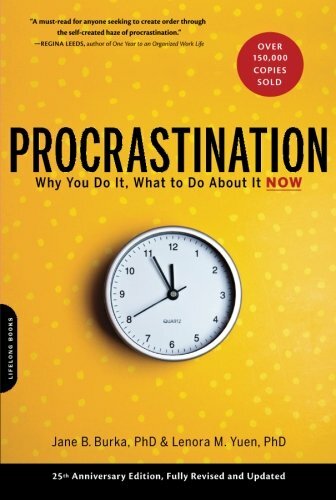 According to many sources, procrastination creates stress which interferes with sleep, weakens the immune system and makes heart disease more likely. It is also very hard on mental health. To understand why procrastination happens, we have to look deeply into issues like self control, self image, inner honesty, fear of failure and distress tolerance. 1. Procrastination may start as a form of silent rebellion against parents. This becomes a vicious cycle as adolescents avoid parents in favor of friends, who do not hold them accountable as parents would. 2. Certain necessary tasks or even the idea of the tasks make people uncomfortable (distressed) , either because they dislike doing them or they are perceived as difficult or overwhelming. Those who cope with their feeling of dread or discomfort (distress) by avoidance may procrastinate, only making matters worse. Those who have poor coping skills or distress tolerance are likely to do other dysfunctional things to cope with life’s daily challenges and discomforts, such as abuse substances. 3. When people do not want to risk failure, they will subconsciously "arrange" to have insufficient time for a task, thereby providing themselves with a ready excuse for their suboptimal performance. 5. Some people who procrastinate simply want others to pull up the slack in whatever it is that needs doing. They will be more motivated tomorrow. They have plenty of time left. Their task will not be that challenging nor take that much time. They will do better when they are feeing more motivated or inspired. They think they do better under pressure. They are talented enough to pull it off. These are white lies we tell ourselves. What can be done about procrastination ? 1. Procrastination is hard to overcome but it requires honesty with oneself and usually firm persistent guidance from others. 2. Strong feelings of interpersonal conflict should be evaluated by a qualified counselor. 3. Problems with procrastination in the setting of substance abuse should also be evaluated by a qualified counselor. Fortify your will power and your distress tolerance with adequate sleep, healthy meals, snacks and regular exercise. Become a list maker. Get a system which is either digital, paper or both and include reminders such as sticky notes or alarms. Use SMART goals criteria for your list items. See more about SMART goals HERE. Nutshell version: SMART goals are specific,measurable,attainable, relevant and time-bound. Overestimate the time it will take you to get something done. Ditch perfection as a goal. It gets in the way of progress and accomplishment. Divide large tasks into a series of small manageable tasks. Practice mental “ time travel” to see how you will really feel tomorrow. 5. All of this requires self regulation. Practicing self regulation with small tasks has been proven to improve self regulation with big tasks. Realize that self regulation is critical to healthy relationships and success in life. That should be plenty of motivation. Pick several easy small tasks, and stick to them. Larger tasks WILL get easier as a result. Yoga or meditation is especially good training for the nervous system where self regulation is concerned. Be easy on yourself for lapses. Pat yourself on the back for all successes.